The Toronto Blue Jays which lease the Englebert Complex from the City of Dunedin are neglecting the city property they lease. The complex which has five full size baseball fields, one half field and a large clubhouse appears to be going down his by its leasers. The photo shows the left center field area of field 3 at the complex being washed away by the heavy rains of the past few months. All the Blue Jays seem to have done is place a sandbag or two along with a few pieces of scrap of lumber to try and stop the eroding of the field. 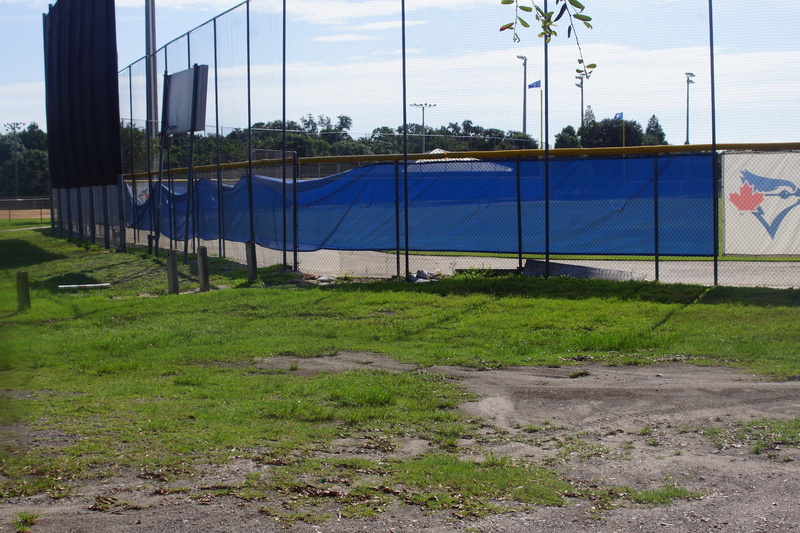 This is just one of many short comings the Toronto Blue Jays have shown in their maintenance of City of Dunedin, Florida property they lease. Dunedin Citizens getting Checks from the Blue Jays? No Flag Football or Softball in Dunedin!? Dunedin Man Anxious for Spring Training?